New Year (2018) is just three days away and everyone is in party mood . 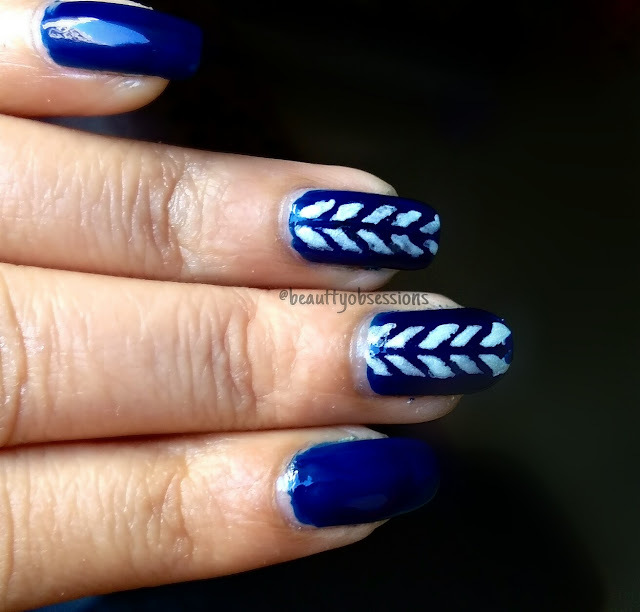 To add little charm to your party look, here is an easy yet elegant nailart for you.. Here I have created this beautiful nailart using beautybigbang laser nail vinyls. It seems easy to create but not at all.. 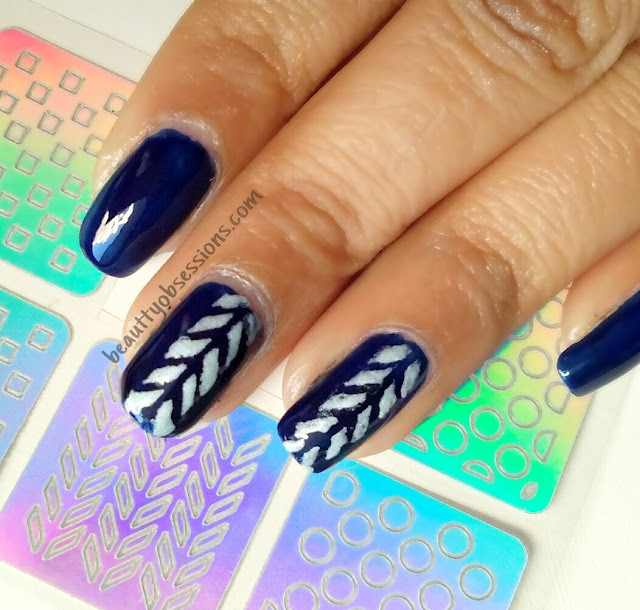 There are few small things which you have to keep in mind while using these nail vinyls. To be very honest, I tried 3-4 times and then got a perfect one... Actually it is the first time I am using nail vinyls but no worry, practice makes everything perfect. So let's get into the tutorial, but before that few words about beautybigbang and these nail vinyls..
Beautybigbang is an international shopping website where you can find makeup and nail stuffs. They have such great collection of awesome quality products and the price is also affordable. 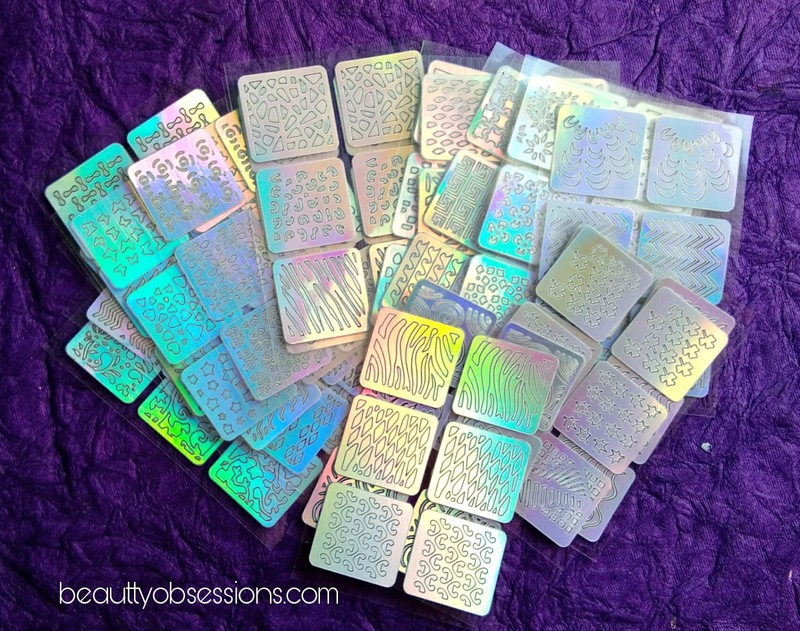 These laser nail vinyls are of amazing quality.. There are 24 sheets in this combo and so many designs.. I will try each and every design from these sheets and will share pic on my Instagram (follow me there). For the nailart I have taken nykaa dark blue polish as base colour and essence pastel polish as the design colour. For the steps, refer the below picture.. (The vinyl taken in the picture is for reference only.. ). You have to be really quick hand while using vinyls to draw designs. First apply the base colour and wait for around 20minutes to dry completely , otherwise the design will go messy. Then peel off the the vinyl from sheet and put carefully on nail. Then cut the extra portions. Now apply the second polish and immediately peel off the vinyl from nail, don't wait till the nail polish dry. That's all, The design is on your nail now. Instead of applying the second polish, you can also dab the colour through a spong applicator as well. Then apply generous amount top coat to seal the design. Tada... Your nailart is ready to flaunt. Enjoy few close up pictures.. I just love the outcome.. Aren't you ? 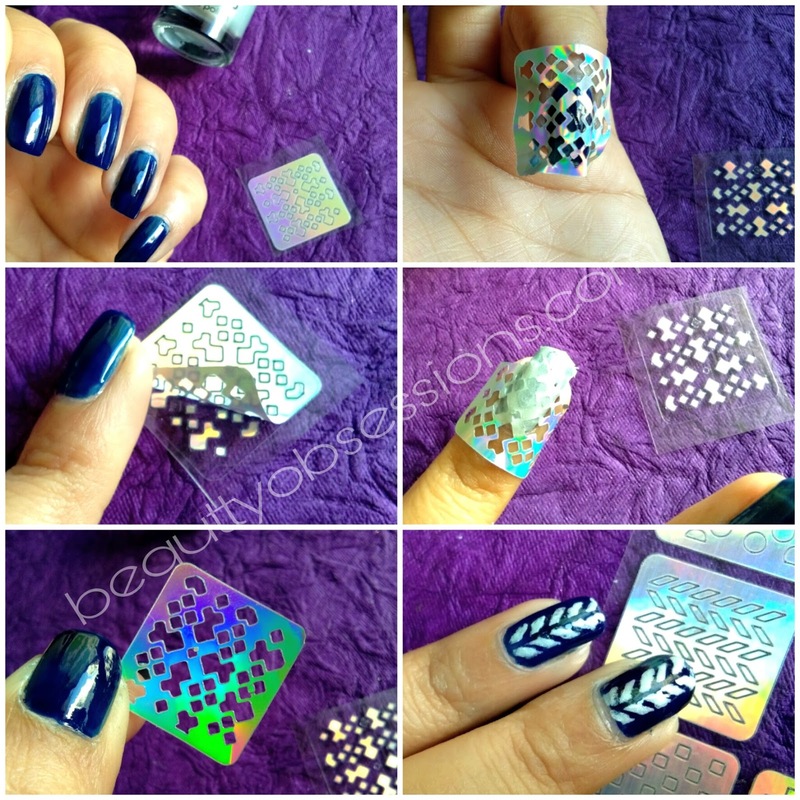 If you want to buy these nail vinyls, then visit beautybigbang.com . 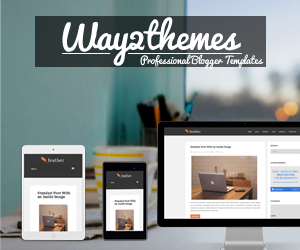 Don't forget to use the coupon code SNIG10 to avail extra 10% off through out the site..
*This post is a part of our #NewYearBlogging series.. 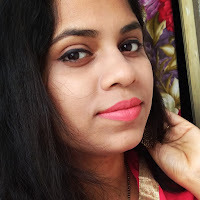 Enjoy two awesome posts by my fellow blogger friend Nisha from High On Gloss and Jayashree from Makeup and Beauty Review blog. You have done a fabulous job there, I wish I had beautiful nails like yours to get this done. Very interesting and amazing post. Nail art seems to be best for celebration. Great review. Your nail art tutorials are always fabulous. I am awestruck. It is simple yet mesmerizing. I would love to try i myself. Wow...this so easy to give a try....😉😉 the. 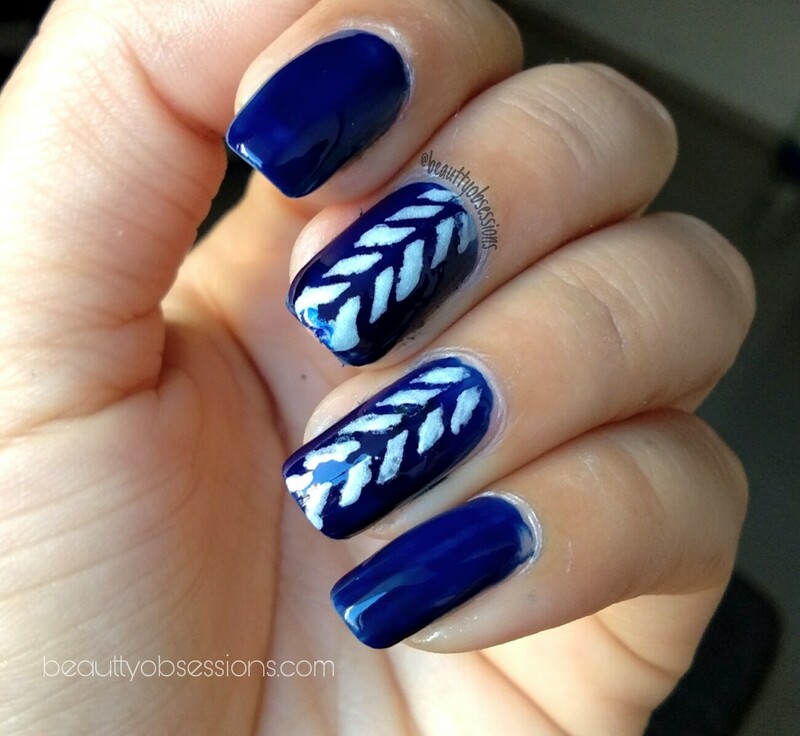 Nail art is so simple and elegant.. Such lovely nails. Beautiful nail art. I need to take some inspiration from you, amazing nail art, your nails looked beautiful. I love your nail art!! So impressive! Love the post and the glam nail is such a must for the upcoming NYE. I am definitely gonna try it. 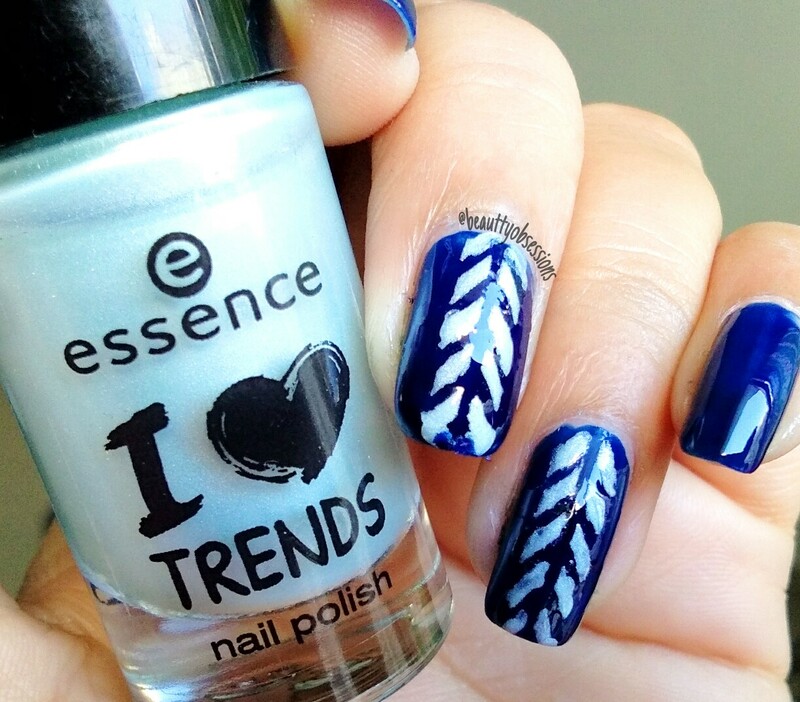 Such catchy as well as simple nail art, loving it! 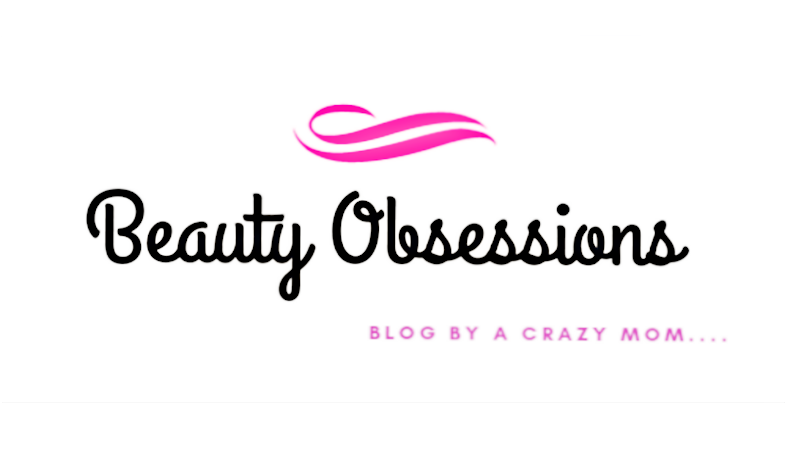 Beautybigbang this international shopping website seems great for makeup and nail stuffs I will check this where you can find out. By the way your work always amazing. 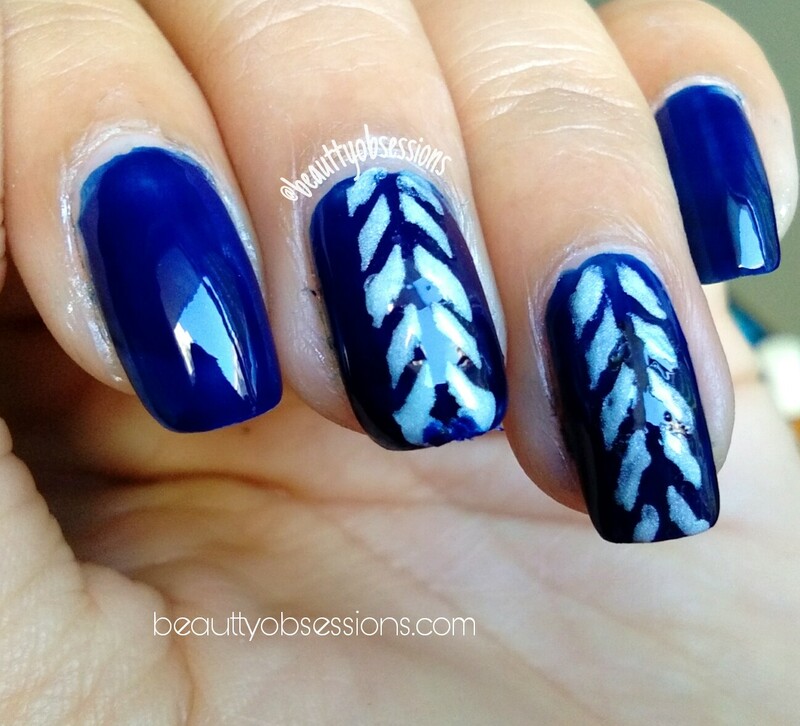 Those nail art designs look really elegant. 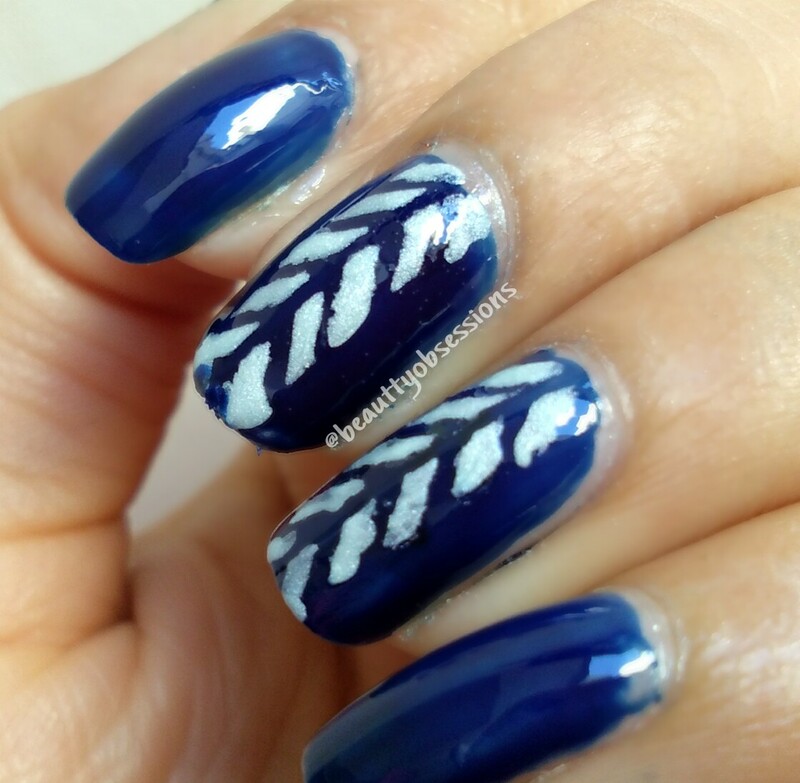 I love the combination of blue and white to much such good looking design. 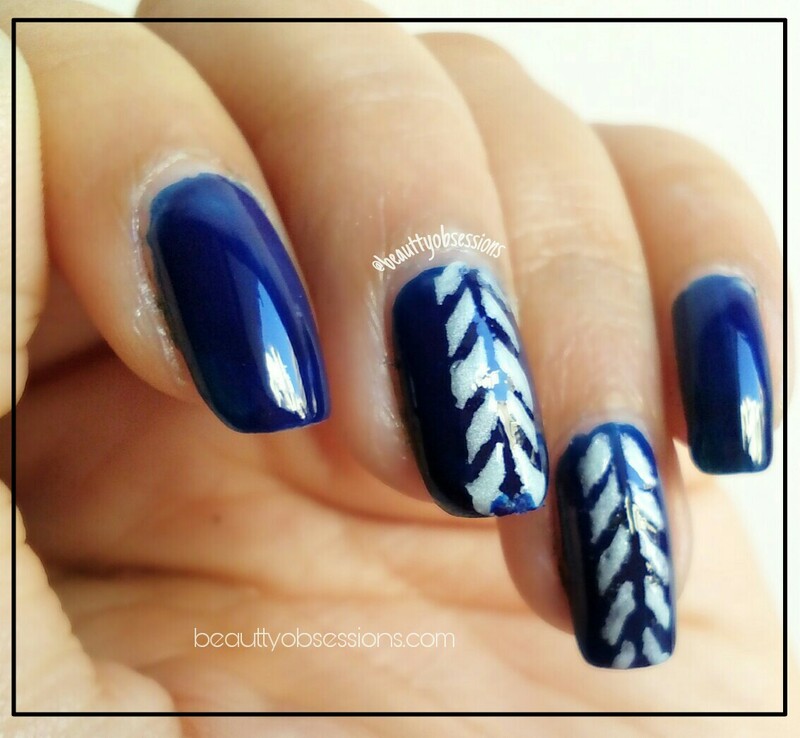 I am fan of your nail art, every time you come up with such simplistic ideas to create fun and style.